Aman Ke Farishtey is a 2016 Indian action film directer Kader Kashmiri & producer is Pravin Kotak and Sohan Bhatia under banner of Sohan Art International. 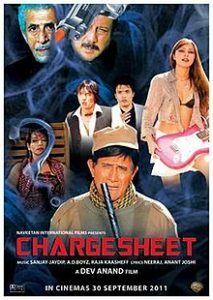 The film stars Dev Anand, Javed Jaffrey, Aashif Sheikh, Hema Malini and Ekta Sohini in pivotal roles along with Kiran Kumar, Roopa Ganguly and Kader Khan in supporting roles. The film was originally planned for a 1992 release, but due to unknown delay reasons, it got released in 2016.